The topic from Mark Lindner, the Bend Beer Librarian for this month's Session is simply Porters, one of my favorite styles. Sipping the complex, sometimes intense, roasted malt flavors of a Porter is one of life's underrated pleasures. Unfortunately, Porters are hard to find these days. 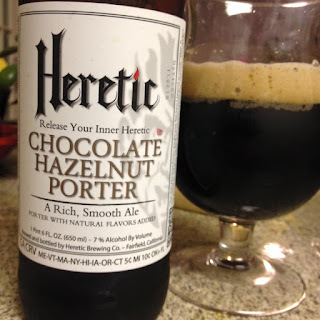 I went to my local bottle shop last weekend in search of a few porters for this Session post. As you might expect, I had numerous of choices of different IPA's, Saisons, Stouts, Pale Ales, Belgian Ales, Farmhouse Ales, not to mention more than a few different Lagers and even Malt Liquors. I could only find three different Porters and took two of them home with me. When I returned home, I searched for porters on the tap lists at some of my favorite local spots online. Out of approximately 80 taps to choose from, just three porters were to be found. Thankfully, one porter was no more than a block away at my neighborhood hangout, Little Lou's BBQ. So that night, I enjoyed a pint of Drake's Jolly Rodger Imperial Coffee Porter at Little Lou's. Rich, lightly sweet, and pleasantly coffee-lishious, slowly sipping away on this brew at the bar was a satisfying way to end a good weekend. By the way, what's the difference between an Imperial Porter and an Imperial Stout? I don't know, either. 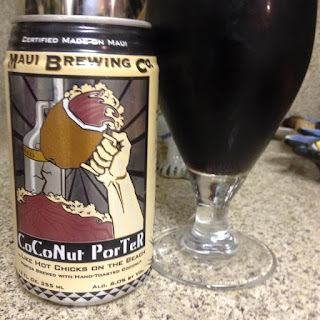 Monday, I poured myself a Maui Brewing Coconut Porter I picked up at the bottle shop that weekend. It's one of my all time favorite porters. Full of dark chocolate flavors accentuated by the toasted coconut, it tastes like a sophisticated version of a Mounds bar in a glass. Tuesday was Super Tuesday, where Donald Trump took a commanding lead in the Republican Presidential Primaries. A strong Porter seemed in order. 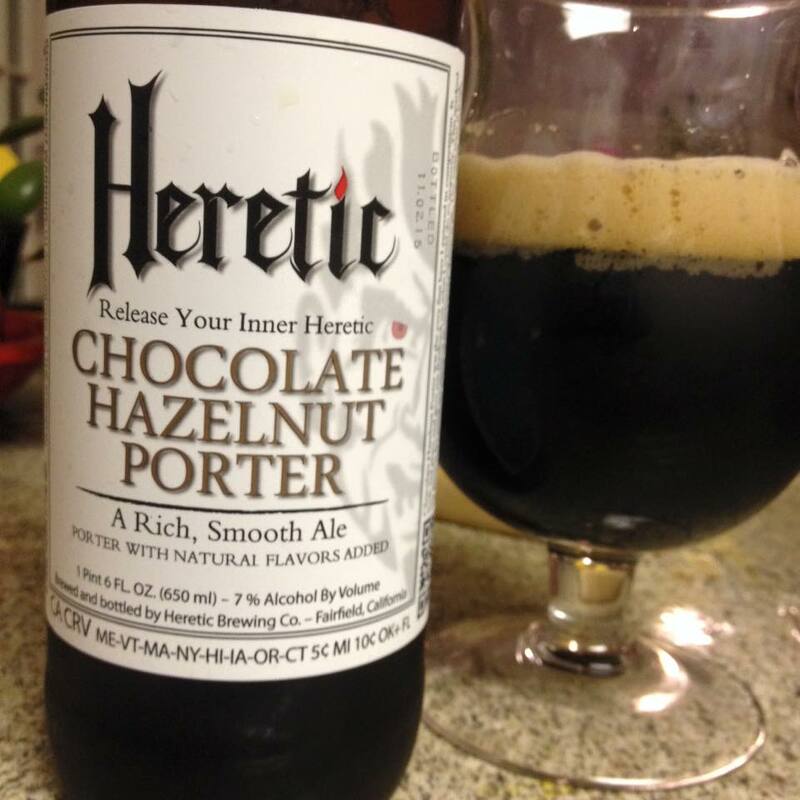 So I went with Heretic Chocolate Hazelnut Porter, which at 7.0% abv, provided the necessary numbing sensation required to remain calm while contemplating thoughts of Trump as President. What a remarkable porter it was. The nuanced roastiness balanced the buttery hazelnuts producing a restrained, sophisticated brew, with the different flavors harmonizing effortlessly. Call it the anti-Trump of Porters. While I certainly enjoyed these Porters, all three were amped up in one way of another with coffee, nuts, or good old fashioned alcohol. Was there anyplace I could get "just" a Porter? Well, my local Safeway always has Deschutes Black Butte Porter, one of my ten or so "go to" beers you'll often find in my fridge. It's the only porter they ever have at Safeway. Porters are definitely worth searching for. They're just too hard to find.